Ashley has been a polarizing figure at Newcastle since taking over at St James' Park in 2007 and the sports retail tycoon has decided now is the time to step down. Newcastle United owner Mike Ashley is seen before the English Premier League match against Southampton at St Mary's Stadium in Southampton in this September 13, 2014, photo. Ashley is ready to end his reign after putting the club up for sale on October 16, 2017. Newcastle United owner Mike Ashley is ready to end his controversial reign after putting the English Premier League club up for sale on Monday. Newcastle has been relegated from the EPL twice in the Ashley era, with the 53-year-old angering Magpies fans with his failed managerial appointments and his decision to sell naming rights to the club's historic stadium. Ashley has frustrated current Newcastle boss Rafael Benitez by failing to back the Spaniard in the transfer market. Benitez has publicly complained about Newcastle's spending on several occasions since leading the club to promotion from the Championship last season, with Ashley responding that he doesn't have the cash to compete with superpowers like Manchester City, Chelsea and Manchester United. 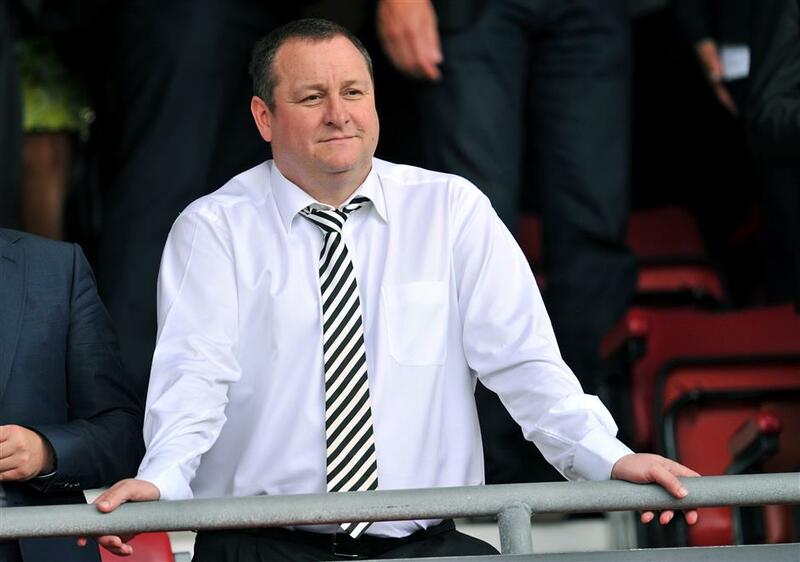 Now Ashley, who paid 134 million pounds (US$178 million) for Newcastle, reportedly hopes to find a new owner by the end of the year following the formal announcement of his sale plan. "As one of the Premier League's oldest and best supported football clubs — and for the benefit of its many fans and supporters in the UK and across the world — Newcastle United requires a clear direction and a path to a bright and successful future," a Newcastle statement read. "To give the club the best possible opportunity of securing the positioning and investment necessary to take it to the next level, at what is an important time in its history, its present ownership has determined that it is in the best interests of Newcastle United and its fans for the club to be put up for sale." Speculation over Newcastle's future was ramped up after the appearance of financier Amanda Staveley at its match against Liverpool earlier this month. After initially trying to win over Newcastle fans by sitting with them at away matches — the Londoner was often pictured in a Newcastle shirt drinking beer with supporters — Ashley spent far less time at the northeast club once the atmosphere soured in recent years. He unsuccessfully cycled through a host of managers in a bid to transform Newcastle's fortunes, with Kevin Keegan, Joe Kinnear, Alan Pardew and Steve McClaren among his hires. Newcastle is currently ninth in the EPL after Sunday's 2-2 draw at Southampton, but Ashley looks to have realized more investment is needed and he is willing to let a new buyer defer part of the payments to allow funds to be used on improving Benitez's squad. "To give an incoming owner the maximum possible flexibility to make meaningful investment in the club, including in its playing squad, the sale process will give interested parties the opportunity of deferring substantial payments," the statement added. Ashley's impending exit was greeted with glee by two former Newcastle stars Alan Shearer and Rob Lee, who both tweeted celebratory messages. Shearer's post, showing the cast of American sitcom Seinfeld dancing, was accompanied by the phrase "Just heard.....", while Lee's was captioned "at last".